Green Bells Public School Burhar is a co-educational english medium school located at Burhar a beautiful city Shandol, Madhya Pradesh. The School is well equipped to cater to all the educational needs from all parts of the city. 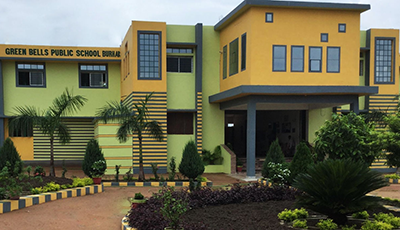 Green Bells Public School Burhar follows the curriculum Framework (NCF) and the syllabus laid down by the renowned and universally accepted National Council of Educational Research and Tanning (NCERT). The School has acquired affiliation from Central Board of Secondary Education (CBSE), New Delhi. The CBSE affiliation Number is 1030746.